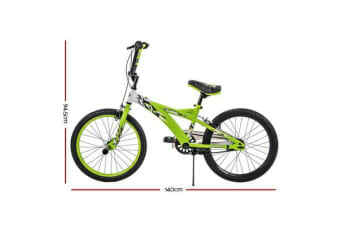 Cruise away with our Huffy Double Take 20 Bike for absolutely fun rides. 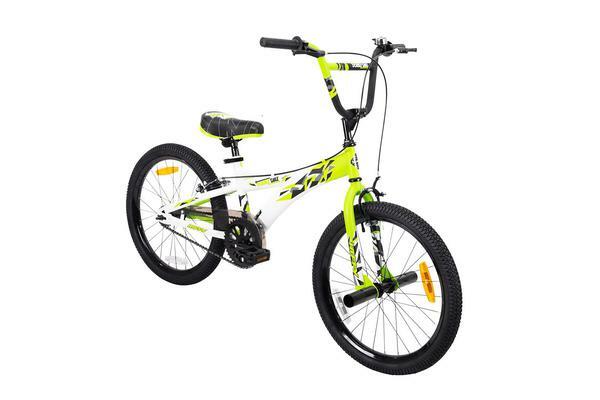 With its sturdy steel frame and a slightly raised handle bar equipped with handle bar bell and front and rear brakes control, our bike is designed to deliver the most fun on two wheels fore the active boy. 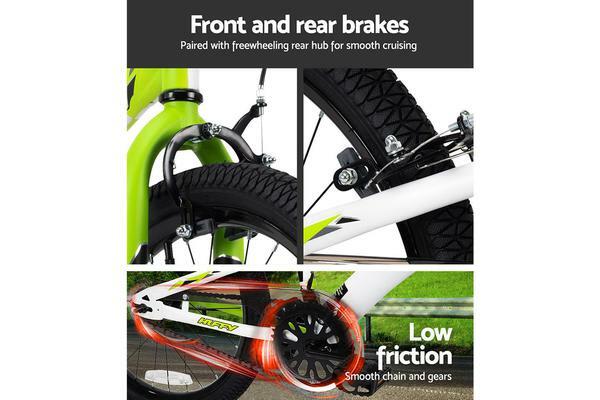 The front and rear brakes are paired with the freewheeling rear hub for effortless coasting. And the bike also features 20 plus-size tyres for good grip and traction on most surfaces and sturdy 36-spoke steel rim wheels for strong stability. Not least, the saddle seat can be easily adjusted for heights of up to 105mm with the quick-release alloy clamp.